You can have great fun with themed borders and different cutout shapes. The “dog paws” (found in Photoshop under Shapes)are easy to place, size, and duplicate. The oval opening gives a nice frame for the photo. 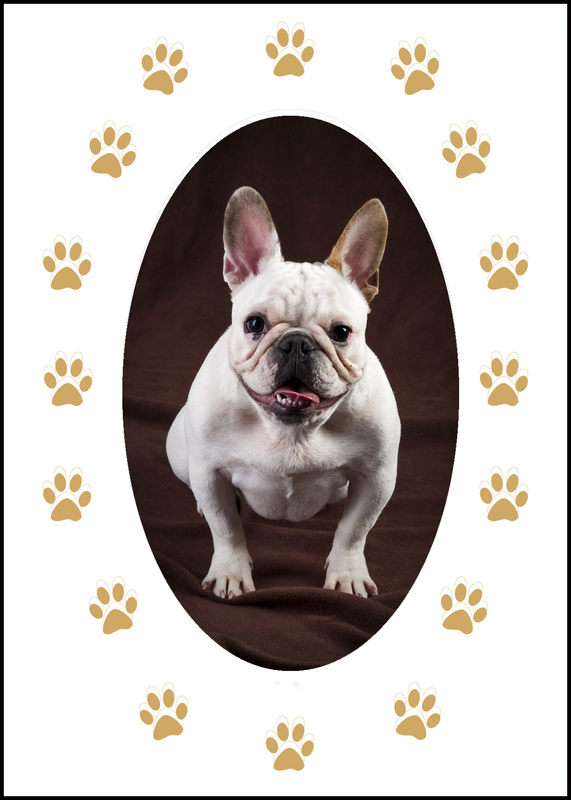 This entry was posted in Greeting Card, Uncategorized and tagged design, dog, greetng card, paw prints, theme. Bookmark the permalink. That’s a cute idea. Foot or hand prints would be cute for a baby picture.